Allison Tannehill says that she always wanted to be a superhero. Growing up in a small town left her in denial about her true sexual orientation until she reached her twenties, but nowadays, she feels empowered to fight the social injustices that left her closeted and ashamed throughout most of her youth. She knows she can’t be an actual superhero, but that she can work towards creating social change on her own terms. Together, she and Andrea Free started the Rainbow Bracelet Project, and together they are spreading the love around to everyone. 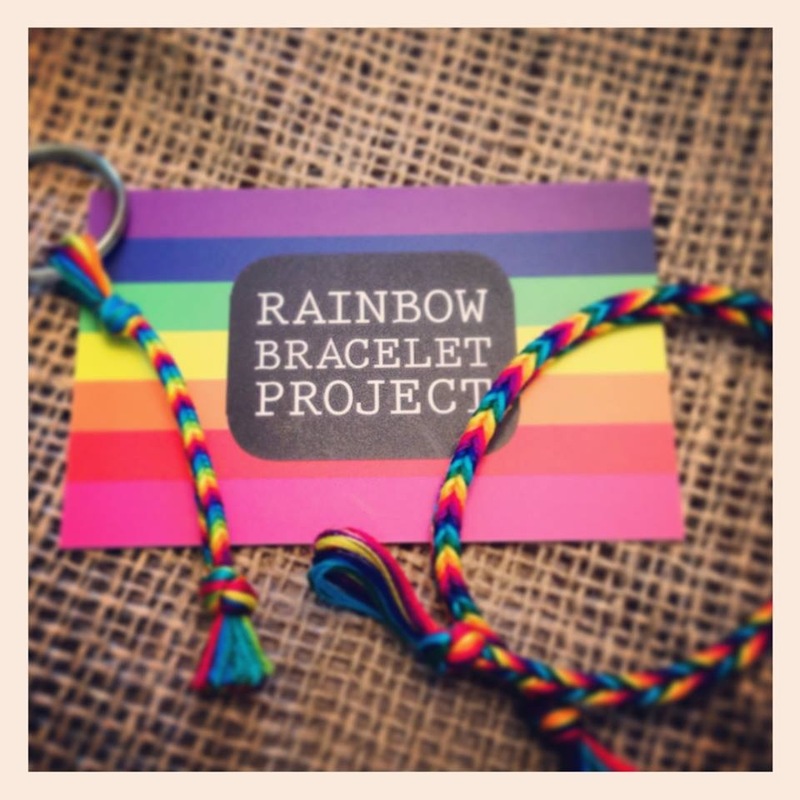 The Rainbow Bracelet Project is a brand new endeavor that’s purpose is to fulfill two primary goals: to raise funds for LGBT groups, and even more importantly, to create a dialogue surrounding issues that the LGBT community faces. In action, the project is simple. All you have to do is purchase one of their handmade bracelets to participate, and part of the proceeds will go towards supporting established LGBT rights groups. By purchasing a bracelet, you are becoming part of a growing global initiative to stand in solidarity against injustices that the LGBT community faces. Tannehill says that the Rainbow Bracelet Project “is a way to combat hatred and help people become educated about LGBT issues. The main purpose of the project is to get people talking about equality,” explaining the importance of standing up and speaking out against injustices. She also adds, “it’s nice to have a feeling of connectedness.” Indeed, the Rainbow Bracelet Project is a way to unite members of the LGBT community and allies from all around the world. Free and Tannehill help connect people involved with the project by incorporating social media and story sharing into part of the strategy to grow the Rainbow Bracelet Project community. Tannehill and Free are a regular people just like you and me. They may not have actual super powers, but their activism is inspiring, and in many ways they are heroes. Visit rainbowbraceletproject.com to learn more about how the two are helping people feel loved and accepted for the beautiful people that they are. Many thanks to Andrea Free and the Rainbow Bracelet for helping us correct errors in the original profile, for sharing our article on Twitter, and for being generally awesome!